assist institutions of higher education in determining acceptability of transfer credits. Graduates from accredited high schools are assured that their diplomas will be recognized by both colleges and employers. Affiliations advance collective interests of member schools while promoting high professional and educational standards and exemplary practices. 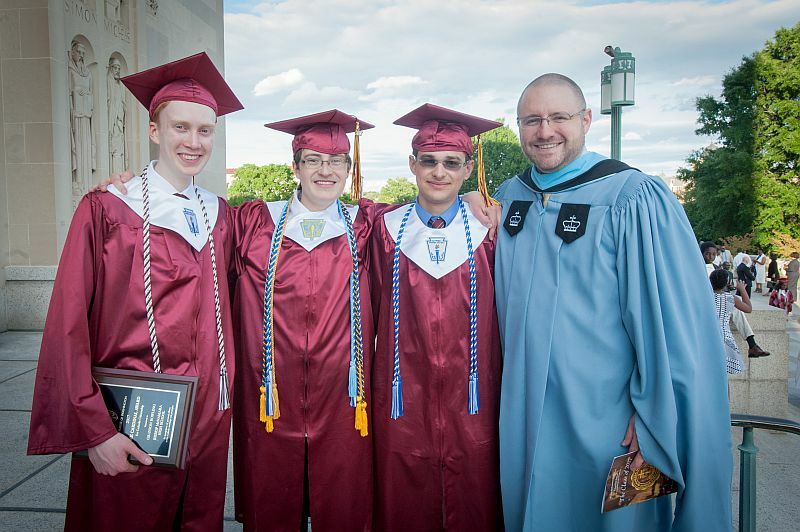 During the 2012-2013 school year, Bishop McNamara High School began a Self-Study on the various programs and activities as part of the Middle States Accreditation process and completed it in the 2013-2014 school year. Accreditation is a voluntary process by which the quality of the school's educational program and supporting services are measured against internationally recognized standards of quality. Bishop McNamara chose the "Excellence by Design" protocol that uses strategic planning as a vehicle for growth and improvement in student performance and in the school’s capacity to affect that growth. "Excellence by Design" leads the school to establish objectives for improving student performance and organizational capacity based on its vision of a preferred future for its students. Therefore, "Excellence by Design" is a future-oriented and visionary process. In addition, the protocol provides for a continuous review of programs and services and of the results of student performance. It also allows diverse constituent groups to participate in charting the future of the institution. For more about Middle States, go to Middle States Association of Colleges and Schools. Bishop McNamara High School has been officially selected for membership into The Association of Independent Schools of Greater Washington (AISGW). Founded in 1951, AISGW has built a strong independent school community focused on the core values of community, advocacy and member services. BMHS is one of 78 schools in Maryland, Pennsylvania, Virginia and Washington, D.C. involved with AISGW as the only Catholic independent school in Prince George’s County. Bishop McNamara High School joins several prestigious schools in membership of AISGW, including Holton-Arms School, Landon School, National Cathedral School and many others. AISGW provides professional development programs and networking opportunities for its members, allowing different schools to connect and learn about new programs and practices that may prove beneficial for many other schools. Additionally, AISGW collects and analyzes operational information to help its members with institutional decision-making, serves as a resource for families regarding regional independent schools, and much more. AISGW schools are non-profit, governed by lay boards of directors, independently financed and have non-discrimination admissions and employment policies. The 78 schools involved with AISGW serve nearly 30,000 students. Thanks to the resources and networking AISGW encourages for members, these schools are able to provide more quality curriculum for students and learn from each other alternative styles of teaching. Problems that may come about in later years may be avoided altogether with experienced insight from other schools. AISGW boosts the community feeling that flourishes in the world of education. Bishop McNamara High School is proud and honored to bring our experience to the members of AISGW, and we are very excited to learn what wisdom other schools have to offer us. Holy Cross Institute fosters zeal for mission among Holy Cross educators nationwide. That zeal has fired our community since 1837, when Father Basil Moreau, with the support of lay men and women who shared his vision, organized the Congregation of Holy Cross. 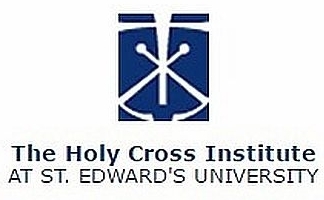 The Holy Cross Institute is charged with creating a national network among secondary schools, colleges and universities founded and sponsored by the Congregation of Holy Cross in the United States for the purpose of providing resources, programs and events that educate administrators, faculty, board members and students on the unique educational legacy of the Congregation. Read about our heritage. Fostering diverse gifts. Nurturing educational leadership and spiritual growth, this community of practice connects people who think globally and act locally. The people leading Holy Cross Institute represent two North American provinces and St. Edward’s University. Creating a national network. Besides hosting educational, spiritual and service programs on site, the institute offers retreat facilities and other services to Holy Cross schools. Through the institute, the people we serve can develop the tools to shape our mission for future generations. Living the mission. The Holy Cross mission belongs to all of us — religious, lay, female and male. The Council for Advancement and Support of Education is a membership association serving educational institutions and the advancement professionals who work on their behalf in alumni relations, communications, development, marketing and allied areas. CASE helps its members build stronger relationships with their alumni and donors, raise funds for campus projects, produce recruitment materials, market their institutions to prospective students, diversify the profession, and foster public support of education. To fulfill their missions and to meet both individual and societal needs, colleges, universities and independent schools rely on-and therefore must foster- the good will, active involvement, informed advocacy and enduring support of alumni, donors, prospective students, parents, government officials, community leaders, corporate executives, foundation officers and other external constituencies. CASE helps its members build stronger relationships with all of these constituencies by providing relevant research, supporting growth in the profession and fostering support of education. 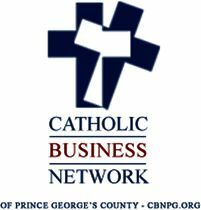 Since its inception in 1997, the Catholic Business Network of Prince George’s County (CBN-PG) seeks to help create a dynamic presence in the business community. CBN-PG is proud to support and help sustain the good works of our Catholic elementary schools, high schools and religious education programs through the County. The Catholic community in Prince George’s County has indeed been made richer by the support, stewardship, service and generosity of the Catholic Business Network. Under the leadership of the State Superintendent of Schools and guidance from the Maryland State Board of Education, the Department develops and implements standards and policy for state education programs. Their Mission is to: Provide every student with highly effective teachers and educational leaders; engage with parents, families and community members to improve student outcomes; integrate evolving technologies, instructional strategies, and emerging skills that enable all students to reach their fullest potential in a globally competitive environment; enhance learning for every student through use of objective, data-driven measures of success determined by state and national standards; and promote a safe, healthy environment for students. NCEA is the largest, private professional education association in the world. NCEA works with Catholic educators to support ongoing faith formation and the teaching mission of the Catholic Church. Our membership includes more than 150,000 educators serving 1.9 million students in Catholic education. Serving as the national voice for Catholic schools. The Archdiocese of Washington Catholic schools represent the largest non-public school system in the area with a total of 93 schools with approximately 27,000 students throughout the District of Columbia and Maryland, including Montgomery, Prince George’s, Charles, Calvert and St. Mary’s counties. Archdiocese of Washington Catholic schools combine strong academics, a deep sense of community and a traditional Catholic learning environment focused on faith, family and life-long learning for today’s modern world. Each Catholic school offers an encounter with Jesus Christ and maintains a rigorous, engaging curriculum based on the highest academic standards, while offering unique programs and attributes. 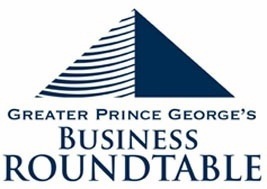 The Greater Prince George’s Business Roundtable (GPGBR) is a non-profit, nonpartisan business alliance of Chief Executives, formed to improve our political, economic and community environments for a better Prince George’s County. GPGBR is led by a Board of Directors, composed of concerned and active business leaders from the county and region, whose companies employ nearly 60,000 people, helping to strengthen our county and the region. National Small Business Alliance (NSBA) is a small business owners’ membership association that has been providing a variety of critical services to thousands of small businesses for over 15 years. The NSBA helps them start, manage, grow and prosper in their business endeavors. These services include access to marketing systems, corporate budgeting and cash flow projections, group health insurance, and savings on everyday business purchases thru the group purchasing power of NSBA. NSBA also provides access to employee benefit programs, free legal documents, and many other useful services. The Washington Catholic Athletic Conference (“WCAC”) was organized exclusively for fostering the spiritual, academic, social and athletic development of interscholastic high school athletic competition while cultivating the ideals of Christian sportsmanship. Formed in 1993, the WCAC consists of 12 private schools in the Maryland, DC, and Northern Virginia area whose membership includes eight co-ed schools: Archbishop Carroll High School, Bishop Ireton High School, Bishop McNamara High School, Bishop O’Connell High School, Our Lady of Good Counsel High School, Paul VI Catholic High School, St. John’s College High School, and St. Mary’s Ryken High School; two all-boys schools: DeMatha Catholic High School, and Gonzaga College High School; and two all-girls schools: Academy of the Holy Cross and Elizabeth Seton High School. All member schools participate in interscholastic sport at the Varsity and Junior Varsity level, with some also competing at the Freshman-only level.